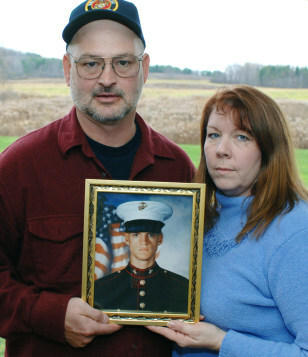 Dan and Debbie Dunham hold a portrait of their son, Marine Cpl. Jason Dunham, on the back porch of their home in Scio, N.Y., on Nov. 15, 2006. President Bush will posthumously award Dunham the Medal of Honor on Thursday.